I'd suggest not with us - we often have people ask us not to play a particular song as they don't like it, but of course we play these songs in our own inimitable style and sometimes you may loathe a song but love our interpretation of it! Also the surprise factor is a real selling point, and we do adapt our set as we go along to react to particular audience members and situations. Of course, if you particularly want to make sure we do a specific song or two from our repertoire then please let us know! We don't do many public gigs, though keep your eye out for us as we have performed at international sports events, shopping centre promotions, restaurant and bar openings etc. But in general it's more likely there won't be anything totally suitable within weeks. Absolutely! This conveys the fun and humour that we bring to every performance! Standard set is one hour, though longer can be negotiated (up to 2 x 45 mins) though we are very much a novelty act and an hour tends to be perfect. Full Mexican costume as shown on this site on the media page! Why should I book Beat Banditos? We are unique. 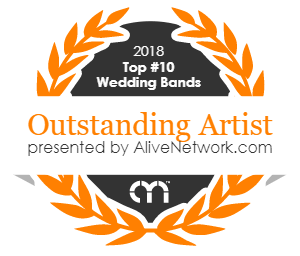 There are many mariachi bands around that can perform some modern pop songs, but we perform those all night and are constantly adding to our repertoire. There won't be any obscure songs in our set and we have something for everyone. Do Beat Banditos have any specific requirements? Normally nothing, if PA and lights are required then we'd need a minimum of 2 normal 13 amp household sockets. Do Beat Banditos offer any additional services? We also perform in a function band that can be booked alongside us, contact us for more details!